Come back to the Ringworld—the most astonishing feat of engineering ever encountered. A place of untold technological wonders, home to myriad humanoid races, and world of some of the most beloved science fiction stories ever written. The human Louis Wu; the puppeteer known as the Hindmost; Acolyte, son of the Kzin called Chmeee: legendary beings brought together once again in the defense of the Ringworld. Something is going on with the protectors. Incoming spacecraft are being destroyed before they can reach the Ringworld. Vampires are massing. And the Ghouls have their own agenda—if anyone dares approach them to learn. Each race on the Ringworld has always had its own protector. Now it looks as if the Ringworld itself needs a protector. 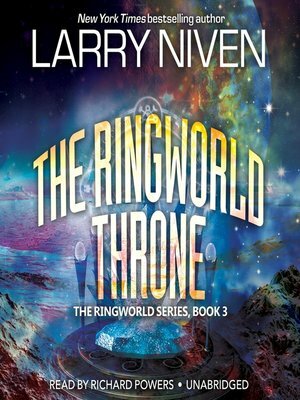 But who will sit on the Ringworld throne?